A great gem of a film by David Mackenzie that showcased excellent work from all three co-leads. Ben Foster and Chris Pine sold the story of two different, yet ultimately similar, brothers with their tight chemistry and solid acting. Pine doing his best work and reminding us he is not just Captain Kirk and Foster following up his star-solidifying turn in The Programe with another strong, character work that steals the show. Then of course we have Jeff Bridges, nominated for a Best Supporting Actor here, who imbued a possibly flat character with layers of complexity that made his story worth paying attention to. Mackenzie's direction was assured and the story told with enough action and tension to actually keep the engagement throughout. Other than a slow opening, the pacing was great. There was enough complexity and depth to not make the characters or their motivations stale. Even when the scene slowed down, to something cliched, Mackenzie wisely chose not to linger too long on the moment, trusting that the audience knew what was happening, why it had to happen and then just leaving it as such. 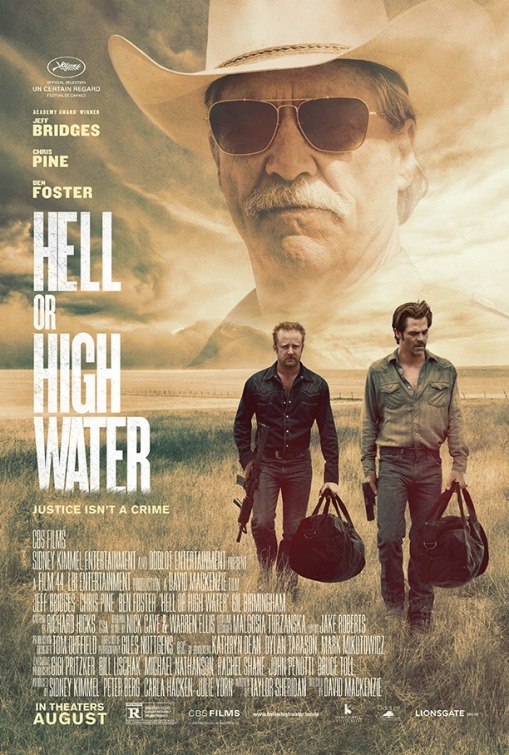 Nick Cave did the music and I am loving this country vibe and it really added to the mood of the film. "Nashville" might just not be a fluke.